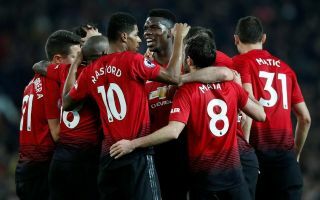 Manchester United still face the prospect of losing Paul Pogba in a transfer to Real Madrid, Barcelona or Juventus despite the club’s recent improvement under caretaker manager Ole Gunnar Solskjaer. The Red Devils have made a superb start since the Norwegian replaced Jose Mourinho at Old Trafford last month, winning six out of six under his guidance. Pogba himself has been one of the team’s most improved players in that time, with the France international finally looking like fulfilling his potential after being freed from the shackles of Mourinho’s conservative tactics. However, according to Don Balon, Pogba still remains unsettled with life in Manchester and wants to leave the club as Real, Barca and Juve look in contention for his signature. The 25-year-old could undoubtedly strengthen any of those teams on his day, having shown himself to be one of the very finest players in the world in his position in the right set-up. This is a huge blow for United, however, with things finally starting to look on the up since Solskjaer took over. Losing Pogba would be another big setback for MUFC, whether it’s under Solskjaer or the next man who comes in to take the job permanently.